Norbert Salomon, though today he went by a different name, had survived the Kraków Ghetto, he had survived the Kraków-Płaszów concentration camp, he had survived the Polish persecution of Jews after the war, eventually emigrated to a newly born Israel, survived acts of war and terrorism by the so-called “Palestinian” Arabs, and he would survive this. I wrote this for the What Pegman Saw writing challenge. The idea is to take a Google Maps image/location and use it as a prompt for crafting a piece of flash fiction no more than 150 words long. My word count is 150. Today, the Pegman takes us to Krakow, Poland. In Googling “Krakow,” the autocomplete came up with “Krakow Ghetto,” so I rolled with it, particularly since my wife and children are Jewish. 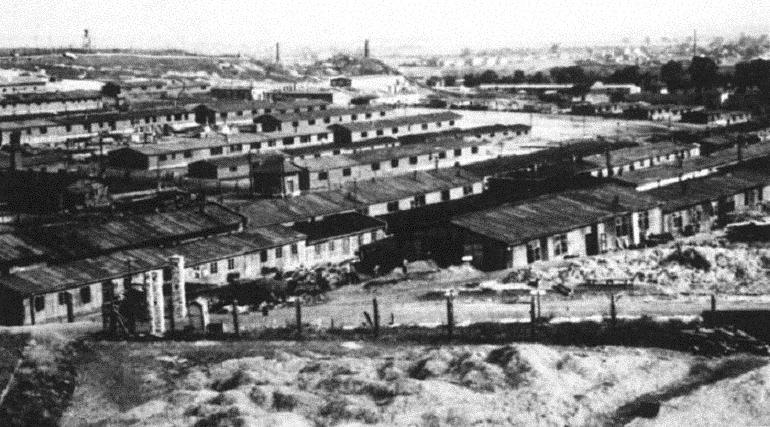 Not only did I find information on Kraków Ghetto but also the Kraków-Płaszów concentration camp. I wanted to do something about a death camp survivor and landed on the idea of a Jewish man who had lived long before Hitler’s Holocaust and who would continue to live long afterward. A Jew who had seen so much persecution across the long centuries might either hide out or choose to fight back, not with guns and bombs, but this being the 21st century, with information. I know some will disagree with my interpretation of recent political events and figures, but from Salomon’s point of view, it makes sense to publicly expose threats to the Jewish people at every turn as a matter of continued self-preservation. A thought provoking story, built around very much ‘live’ issues. Excellent and intriguing piece. In one of my novels, I have a Polish Jew who smuggles a movie of a concentration camp out of Germany for use in OSS training. Your character reminds me of him. I think this would be a good premise for a novel. I’d have to be careful not to draw parallels to the Wandering Jew who, supposedly was a Jew who taunted Jesus on the way to the crucifixion and as a result was cursed to walk the earth until the second coming. That legend has been around since the 13th century, starting in Europe, but it still have plenty of traction. In Robert A. Heinlein’s 1973 novel “Time Enough for Love,” the main character Lazarus Long, claims to have encountered the Wandering Jew, perhaps several times. In his 2007 novel “The Kingdom of Bones,” British author Stephen Gallagher uses the wandering Jew as a theme, and although not specifically referencing that legend, Irish Indie writer Aidan Reid in his novel Raising Lazarus, which I reviewed, the central character believes he is the Lazarus (Eleazar) that Jesus raised from the dead and that he became immortal (John 11:38-44, Luke 7:12-17), although, as it turns out, this is a delusion. That’s only a tiny fraction of the books, movies, and television shows that had used the theme over time. When I wrote this piece of flash fiction, I didn’t have the Wandering Jew in mind at all and, given what I’ve written above, I’m not sure I could do another telling of his tale justice. Very well done. I have always felt a kinship to the souls that lived and died during the holocaust and the idea that one of them might be a time traveler… Yes interesting possibility…. Thanks, Violet. However, it’s not so much that he’s a time traveler, but rather because he is immortal. He can’t die, so he just keeps on living, and I’ve implied that even if he is shot or incinerated, somehow he resurrects. The myth you cite popped into my head on reading this. I had come across it superficially before though not with any detail, but was well aware that it was associated with AntiSemitism. I’m so glad you explained it here, and relieved us of the burden of visiting questionable sites in pursuit of an answer. The theme of survival against all odds in this piece is moving, even if he is somehow immortal. This has a feel of the grass is greener on the other side, because I’ve made it so, if that makes sense, James. Enjoyed what the other writers/commentators had to say, especially your monologue with Josh – interesting. Interesting. Enjoyed your story, and premise, as always. Love especially the idea of the information as revenge. Well, we do live in the information age. Thanks. This could be heaven or pure hell, living and reliving persecution and what humans do to one another. I’ve never been able to figure out why, of all people, the Jews always get the short end of the stick. Thanks for making me ponder, James. Well done. Thanks, Alicia. From a metaphysical and theological perspective, the Jewish people and Israel have suffered thousands of years of hardships as an attempt to derail the plans of the Almighty for the redemption of the nations of the Earth through Israel.